Virginia Gov. Bob McDonnell said Monday that he is ordering all school districts across the state to review their school safety audits in the wake of the Sandy Hook Elementary school shooting in Newtown, Conn. The governor said he wants to know if the districts have fully implemented their safety plans - or if they need any resources or help to make sure the plans are implemented. The governor also announced a new task force to review school safety. This task force, comprising educators, public safety experts, local leaders and legislators, will review procedures and emergency management plans to discover what works and what needs more resources. The task force also will provide legislative and budget proposals to the governor. He also created a new position within the state's Department of Criminal Justice Services dedicated to school and campus safety. McDonnell said he is asking the districts "to look at all things they have put in audits that they need to do better, that they need to do right," he said. And he is challenging the state's secretary of public safety and secretary of education "to make sure all those ideas are implemented, and that the ones that aren't we find a way to get those funded." McDonnell did not address whether he felt new gun legislation was needed in the wake of the tragedy. "It's just a couple of days after this horrific, unfathomable tragedy with so many little 6 year old kids gunned down," he said. "I still can't quite come to terms with it. "My wife and I sat there sobbing on Friday. ..Having five children of our own, we just can't imagine the evil and horror that occurred in that classroom," he said. "For me it was too early to start reacting or overreacting with what the right politices might be. There will be time to reflect on that over next 30 days." Some lawmakers, though, are ready to look ahead to possible legislation. In the five years since the Virginia Tech massacre, Democrats urged on by some Virginia tech survivors and victims’ families have pushed bills to close the so-called gun-show loophole, which allows private gun sales to take place without background checks. Fairfax County Sen. Janet Howell said she plans to try again in the 2013 session. But other lawmakers suggest momentum could shift the other way. 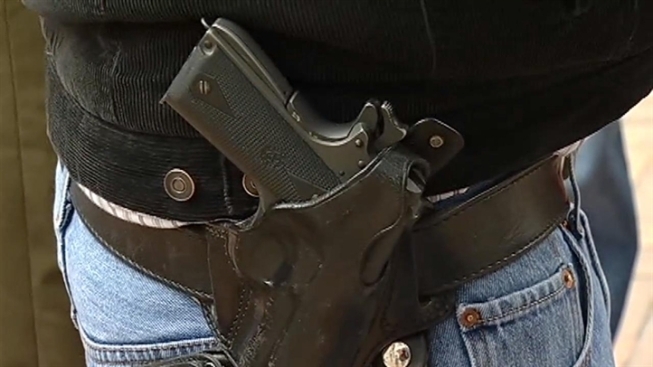 Prince William County Delegate Bob Marshall, who previously sponsored a measure to allow professors with conceal carry permits to take guns on to Virginia college campuses, will explore whether allowing specially trained principals to bring guns to public schools might make sense.